CX solutions are no longer tactical nice-to-haves, but rather critical strategic tools. Customer Experience Business Strategy, Verint Systems. The harsh new reality of customer experience leaders stealing customers and eroding margins is causing companies all over the world to invest in customer experience (CX) solutions to ensure their interactions with customers are good ones. As these CX technologies mature, digital feedback management is the latest in the evolution of the customer experience industry—opening a new avenue for contact centers to gain customer insight. Given the importance of measuring and managing the customer experience, it’s critical to understand the value these solutions are capable of delivering. While shopping for a product or service on a specific website, it’s customary for the brand to initiate a pop-up survey requesting feedback from the customer on his or her online experience. While this is another opportunity and a valuable strategy for listening to the voice of the customer, it also can be perceived by the customer as intrusive and it can interrupt the customer’s online experience. This is where digital feedback management is making an impact by offering a less intrusive way to gather customer feedback about the experience. A structured comment card on the website or mobile app is on screen for a customer to click at any time they need help, identifies a problem or has a comment of any kind. Rather than the “brand-initiated feedback” gathered through online surveys, digital feedback management opens the door for “customer-initiated” feedback through the digital channel. One of the key advantages of in-the-moment digital feedback is its ability to tie directly to web analytics packages and helps enable the following. When used in conjunction with other feedback channels, digital feedback can provide unique insights into the “why” behind the “what” that traditional surveys offer. It’s clear that most customers today—from millennials to baby boomers and up—prefer digital channels for many transactions. In fact, 60% said so in a recent global survey that Verint conducted among more than 24,000 consumers across 12 countries, in collaboration with Opinium Research and advisory firm Ovum. However, as our research also shows, there is a digital tipping point, meaning there are times when a phone call or a store visit are the best ways to solve a complex problem. Still, by and large, most customers want “digital first” for the majority of transactions. That’s why it’s important to be sure your digital channels are working perfectly. It’s also one of the reasons digital feedback management solutions hold so much promise for contact centers today. Another plus is that digital feedback management solutions let customers respond anonymously. Customers don’t have to sign in or register to file a complaint. This helps companies avoid the “creep” factor. It’s an important nuance of the digital world and should be considered by any company exploring digital-first strategies. Like any conversation with a stranger or a new acquaintance, once you feel the person is getting too familiar, asking too many questions or asking about things you aren’t comfortable divulging, it’s a turnoff. And for a company, it can be a deal-breaker for an e-commerce transaction and for longterm customer loyalty. Customer-initiated feedback is one of two key advantages offered by digital feedback management solutions. The other? The solutions provide an easy way for the feedback to be incorporated with web analytics data. In addition to the behavioral data on how the customer entered the site and moved around while there, you can combine attitudinal data—how the customer felt about the experience. Was it good? Was there a glitch? Was there a clear way to get to a certain screen, or enter a promo code, or find a detailed product description? Millennials have a way of being frank about whether a site is cool or old-school. You want to know their opinion, and want to make it as easy as possible for them to express it. These responses add a new dimension to a contact center’s understanding of how the company website and mobile apps are performing, and how to improve them to ensure a positive customer experience across the board. It’s vital information the contact center, the e-commerce team, and the sales and marketing departments can act on to do their jobs better. Digital feedback management solutions let you know right away if there are any bugs or technical glitches that keep your sites from performing ptimally. Because contact centers can now get this information real-time from customers, they can immediately create an alert or a ticket for the e-commerce team or the marketing team to fix the problem. In the past, online survey reports of website technical problems might have sat around for days or weeks in a mass of data without being dealt with. For example, when a leading health insurer launched digital feedback management pages on its website, streaming feedback provided fast visibility into the top issues and enabled the company to fix them promptly. Within two weeks, the company’s improvements had reduced negative comments to almost zero. In addition to technical problems about your website or mobile apps, you also want to know where people are having challenges. Maybe things are working fine, but you’ve made it difficult for them to find what they need. Through digital feedback management solutions, customers can voice their frustrations and even suggest ways to fix the problem. By integrating more traditional enterprise feedback management tools with digital feedback management, companies can easily add capabilities to answer the customer’s problem real-time or open a pop-up chat window with an offer for assisted service. Through digital feedback management, one of America’s largest banks made big changes. The bank classified customer-initiated comments into 25-plus categories, including issues with bill payments, money transfers and new account applications. Issues in categories that were considered controllable got immediate resolution. Several months later, the bank saw online support ticket volume fall by more than 10%. In a high-volume customer service environment, this added up to more than 10,000 fewer support tickets per month—a monthly cost savings of nearly a half-million dollars. In another example, one of the market leaders in online travel services used digital feedback management to identify a critical pricing issue that threatened to affect a sizable segment of its audience. During the booking process, customers reported seeing rates for rooms and flights jump suddenly after they signed in with their login credentials. Long-term, highvalue customers were accusing the company of practicing “bait-andswitch” tactics. Having identified this major challenge using opt-in, page-specific feedback, the company quickly introduced a patch to fix the post-login pricing inconsistencies before they had a serious impact on revenue. In fact, the company saw a 90% reduction in customer feedback related to pricing issues. By the company’s estimate, as many as 30,000 monthly transactions would have been put at risk without the digital feedback management solution, thus jeopardizing millions of dollars of monthly sales revenue. Another company—one of the world’s largest retailers of musical equipment—has used customer feedback to align processes and systems in its distribution center and eliminate frustration with inaccurate shipping dates. The company gains additional value from the solution by in-store use by associates who provide feedback on ways to make the special-order process more efficient and improve the customer experience at 250 store locations. Online, brand-initiated surveys are still very much a part of a contact center’s operational improvement methodology. They are vital tools for understanding the customer viewpoint. New tools are helping customer experience leaders integrate other types of feedback with the traditional quantitative results gathered from brand-initiated surveys. Businesses are expanding their efforts across channels to reach more segments of their customer base and to share feedback holistically across the organization. The result? A richer and more integrated approach in the ongoing effort to improve the customer experience. In this quest, digital feedback management solutions are taking their rightful place alongside enterprise feedback management, speech analytics and text and social analytics. Together, they enable companies to listen across structured and unstructured data sources, analyze the issues and key trends that are identified, and then act on the data in ways that are meaningful to customers. Simply put, if a customer can say it, write it or click it, these VOC solutions can collect, analyze and enable organizations to act on it. By integrating the full range of CX solutions, contact centers achieve smarter customer segmentation, better personalization, and the ability to spot high-effort transactions and other friction points that can result in disloyal behavior. These solutions are no longer tactical “nice-to-haves,” but rather critical strategic weapons in the epic battle to win the hearts and minds of customers for the long term. As customer expectations about the digital experience continue to rise, it’s the smart contact center manager who stays on the lookout for new ways to meet them. 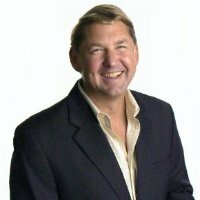 Brian Koma is Vice President of Customer Experience Business Strategy with Verint Systems.